If you’ve been trying to lose weight, then odds are you have been diligently tracking your food, logging hours at the gym, prioritizing sleep, and working on managing stress. These are all excellent ways to reach your weight-loss goals, but there are some areas you could be sabotaging yourself without realizing it. Sure, you may track all the calories you are eating, but what about the calories you are drinking? If you’re not careful, you could be ingesting hundreds of extra calories and dozens of grams of sugar a day with your beverages and not even know. Although there are a few drinks that are bad for weight loss, there’s one that takes the crown as the absolute worst: soda. Regular soda can have 150 to 200 calories for a regular 12-ounce can. If you opt for a fountain soda at 32 ounces or more, you’re looking at around 400 calories. Not to mention all the sugar that’s being ingested; one can of Coke has 39 grams of sugar, which is the equivalent of nearly 10 teaspoons. The American Heart Association recommends women have no more than six teaspoons of added sugar per day, or 25 grams (men can have up to nine teaspoons or 36 grams). Dietitian Natalie Rizzo, MS, RD, told POPSUGAR that it’s one of the worst beverages for weight loss. There’s also plenty of research to support how terrible soda is, especially if you’re trying to lose weight. Sugar-sweetened beverages have been linked to weight gain, type 2 diabetes, obesity, and heart disease. 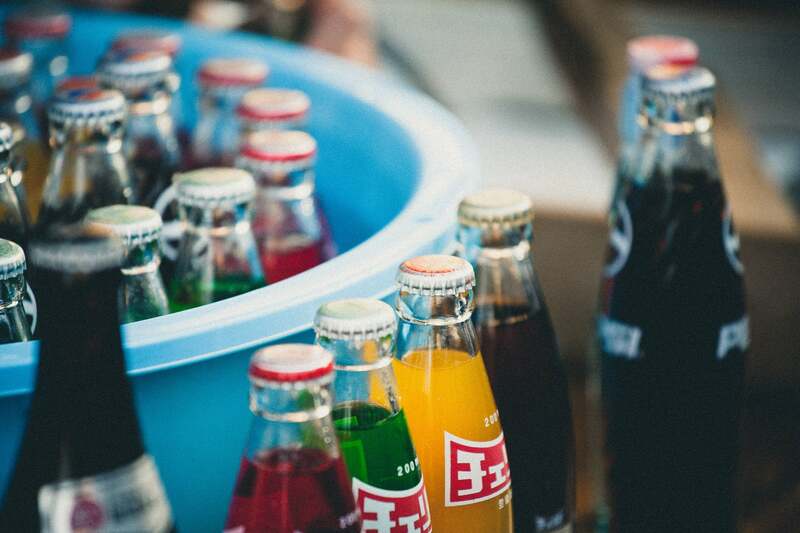 If you think diet soda, which is typically zero calories and sweetened with artificial sweeteners instead of sugar, is a better option, you need to reconsider. 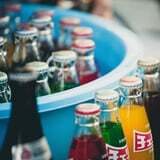 Diet sodas have also been linked to weight gain, metabolic syndrome (a risk factor for heart disease and type 2 diabetes), and an increased craving for sugar. Even the occasional soda every once in a while can add a couple extra hundred empty calories to your day and dozens of grams of sugar. Plus, soda has no nutritional value. You can also add fruit and herbs to your water for a natural sweetness and boost of flavor. Check out these 12 detox waters for inspiration, and sip your way slim with these five best drinks for a lat belly.